New User? Get your coupons! The price is only for new registered users. Processing time: The time it will take to prapare your item(s)to ship them from our warehouse. Shipping time: The time for your item(s) to travel from our warehouse to your destination. Note: If you order multiple items, the processing time will be based on the item with the longest processing time. Loved ! Sign in to save and share your Favourite Sign in Loved ! Unloved ? Are you sure you want to remove this item from your love List Yes! Removed Never Mind! 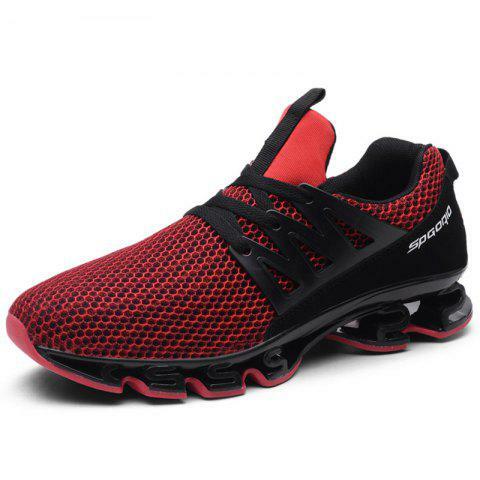 With woven material and comfortable lining for great ventilation, these shoes are breathable and comfortable, reducing foot odor and keeping your feet warm. The durable and anti-slip outsole keeps your safe on slippery roads, you can enjoy outdoor time with the maximum security. We ship to over 200 countries worldwide through fast and reliable delivery partners. You can choose your preferred shipping method on the Order Information page during the checkout process. Processing Time: Before we ship your order, we have to prepare your products, perform strict quality-control tests and package items carefully. Products with quality-related issues may be returned for a refund or exchange by contacting Customer Service within 30 days of receiving your order. Our Customer Service staff will arrange it for you after the confirmation. Products (excluding Made-To-Order, disposable, lingerie items, and Clearance items) with no quality-related issues may be returned for a refund or exchange by contacting Customer Service within 7 days of receiving your order. You will be responsible for all return shipping fees incurred. Any product that has been used does not qualify for a return or exchange. All returned items must be in brand-new condition, unused and with original tags and packaging. * Measurements shown in the Size Conversion Chart refer to body measurements. DressLily-app $59 off for new users! Download Our Free APP ! New Users Enjoy $59 OFF Coupons & App-EXCLUSIVE Deals! Copyright © 2011-2019 DressLily.com. All Rights Reserved. To make this site work properly, we sometimes place small data files called cookies on your device. Most big websites do this too. A cookie is a small text file that a website saves on your computer or mobile device when you visit the site. 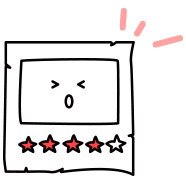 It enables the website to remember your actions and preferences (such as login, language, font size and other display preferences) over a period of time, so you don’t have to keep re-entering them whenever you come back to the site or browse from one page to another. 1. Essential - these are cookies that are required for the regular operation of our websites. For example, some cookies allow you to log-in to your account and add products to your basket and checkout securely, or carry out fraud detection and security checks (along with other similar things). These are essential for the website to work properly. 2. Functional-these cookies will enable you to move around the site and use its features such as accessing secure areas (e.g. content for registered users). These cookies also allow us to remember your user preferences, helping you to customize your experience on our site. The information gained through the use of functional cookies is anonymous and is not used for any other purpose. 3. Performance improvers- these cookies will help us understand how effective our content is, what interests our customers and to improve how our website works. This information is used for statistical purposes only and is not used to personally identify any user. 4. Advertising-these cookies enable us and our advertising partners to serve ads and manage our online advertising when you visit our site and sites upon which we advertise. These cookies record your visit to our website and the content you interact with, and may also be used to manage the number of times that you see an advertisement. You can control and/or delete cookies as you wish – for details, see aboutcookies.org. You can delete all cookies that are already on your computer and you can set most browsers to prevent them from being placed. If you do this, however, you may have to manually adjust some preferences every time you visit a site and some services and functionalities may not work.